The T110E5 is an American heavy tank and is the definition of comfort. It possesses an excellent gun, decent frontal hull and excellent turret armour with the upgrade to the HD model, good depression and mobility just short of a medium tank. This makes the tank an good all rounder, and up until the HD update, meant that the T110E5 wasn't particularly excellent at any one role, but not bad at any either. This made the tank great for pub games, but relegated the T110E5 to a filler role in organised play. The recent HD update has changed this vehicle significantly, as now most tanks will struggle to pen a T110E5 frontally, especially if it is hull down. In fact, most Tier 10 tanks will struggle to penetrate its frontal turret without premium rounds. Its newfound armour upgrade, coupled with an accurate gun, good DPM and great mobility has made it even better in pub games and a true staple in organised play. Unangled, the frontal hull armour is fairly tough, with the lower front plate being the only real issue ranging from around 170mm to 350mm of effective armour. Thanks to its excellent angles, the upper front plate is 250mm at its weakest and well over 400mm in most areas. The frontal turret effective armour ranges from roughly 210mm on its flattest part next to the mantlet, to over 600mm of armour. When angled around 25 degrees, the extremely vulnerable 76mm side armour increases to over 200mm, but sidescraping is still not recommended. As with most heavies, wiggling the tank back and forth is a good way to bounce shells aimed at your weakspots. When the match starts, be sure to analyse your team composition and the map. Think about the best flank to support your team's more heavily armoured tanks with your excellent gun handling and DPM. Like its predecessors, the T110E5 excels in hull down positions and unlike the IS-7, has great gun depression. This makes ridgeline play very effective for the T110E5, whether that be sniping or in peek-and-shoot engagements, as the gun has excellent soft stats. The excellent mobility also allows the tank to flex around the map in order to put its punchy gun into play. The T110E5 is also excellent at countering other mediums, as the armour is very well angled and has lots of strange curves. 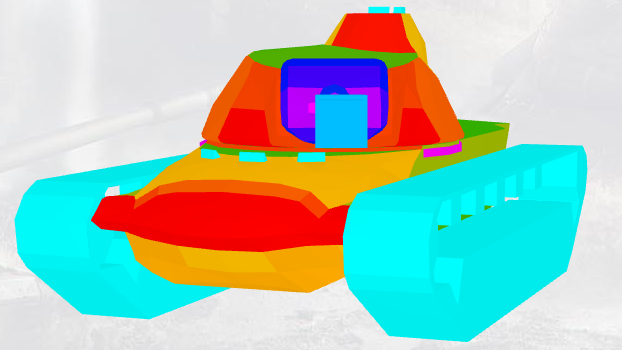 This makes the tank relatively resistant to both HEAT rounds. With decent medium support, the T110E5 is quite capable of leading pushes on a flank. However, keep in mind that the T110E5 is not as heavily armoured as its counterparts, so avoid sitting in front of high-alpha guns. As with any heavy, be mindful of artillery shells and keep moving. I run 25 AP/15 HEAT/2 HE - HEAT rounds aren't strictly necessary to make this tank a success, but I like to carry a few in case I'm in a position where I need to fight E-100 or Maus tanks. Vertical Stabiliser, Shell Rammer, Coated Optics/Vents. There is significant debate as to whether optics or vents is better on the T110E5. With such excellent mobility and base view range, having optics really helps to accentuate these qualities, as you will be able to spot targets for yourself much more easily. Having vents is also viable, as the DPM and stat boost is welcome in a brawl, especially coupled with BIA and food. Repair Kit/First Aid Kit/Personal Preference. 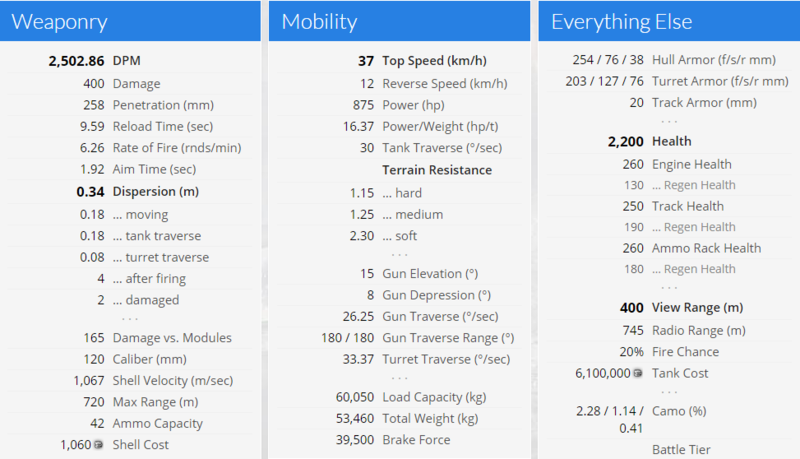 The third slot is personal preference, as the T110E5 does not burn frontally and tends not to take significant module damage, so food is certainly a viable choice. Running a second repair kit is also viable. Personally, I'm quite paranoid of fires from enemy flanking shots or artillery, so I run a fire extinguisher. American comfort is truly a wonderful thing. 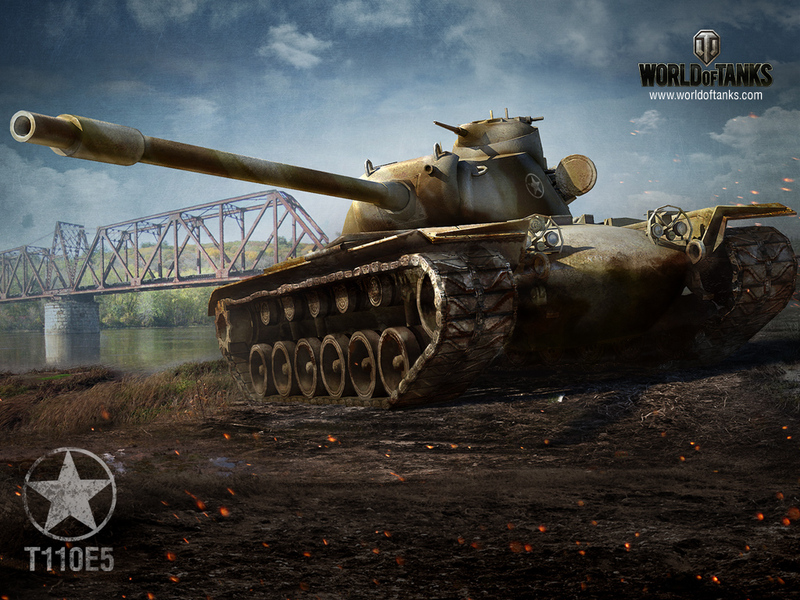 The T110E5 is easily one of the best all-rounder tanks in the game, and is often described as a heavy-medium hybrid tank. 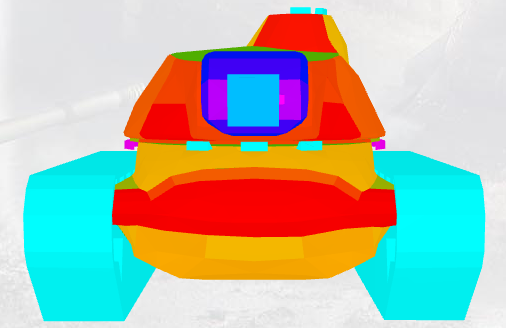 Use your mobility and fantastic gun to your advantage, stay hull down where possible, and bully tanks with less armour. I hope you enjoyed the article, and thanks for reading! There is no doubt that the T110E5 American heavy tank makes great for pub games. Reading your article had given us a clear picture on the recent HD update which has changed this vehicle significantly. I am glad you have shared this best clipping path photo editing with us. The E5 is my favourite heavy at the moment. Such a fun tank to play, especially with the HD buff. Another awesome article nomad, really makes me want to buy my E5, sold it around a 12-18 months ago in order to get credits to fund my tournament play back before we had tournament accounts.